On December 30, 2018, IUCC presented at a conference for researchers who use, or are interested in using, public cloud services. The conference took place in Kfar Hamacabiah. Around 20 researchers from different universities attended. 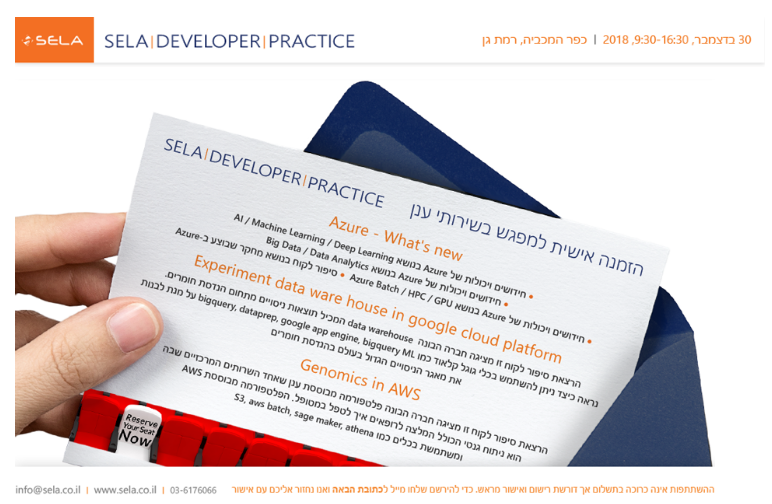 The conference was part of a developers’ conference hosted and organized by the Sela Group, for the benefit of IUCC and academic researchers.